We all knew this was going to happen, but it's good to have it confirmed. The Persona 3 and 5 rhythm games, which released in Japan about a month ago, have been confirmed for an release in English. They'll be called Persona 3: Dancing in Moonlight and Persona 5: Dancing in Starlight, and will play much like the previous Persona 4: Dancing all Night did. A big focus this time around will be in "deepening social bonds through conversations and mini-events," rather than the visual novel-like story mode that was the bulk of Persons 4: DAN. 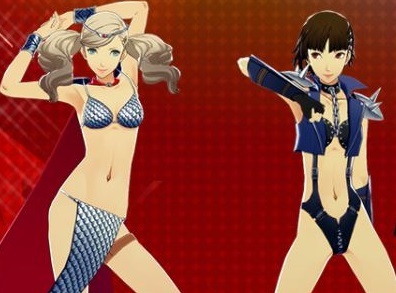 Additionally, P3:DIM and P5: DIS will feature an absolute wealth of costumes to unlock for each and every character. The games will get their first run in public at E3 this year. They will release early 2019 on both PlayStation 4 and PlayStation Vita. So there's at least two Vita games to look forward to in 2019 now.